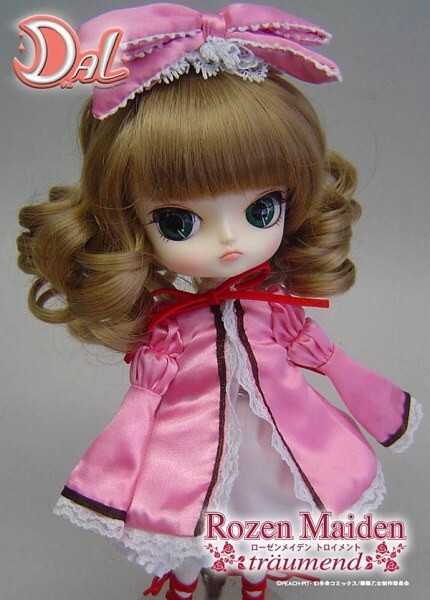 Rozen Maiden is a popular anime/manga series, in the series several living ball-jointed dolls made by Rozen all compete to become Alice, the perfect girl. 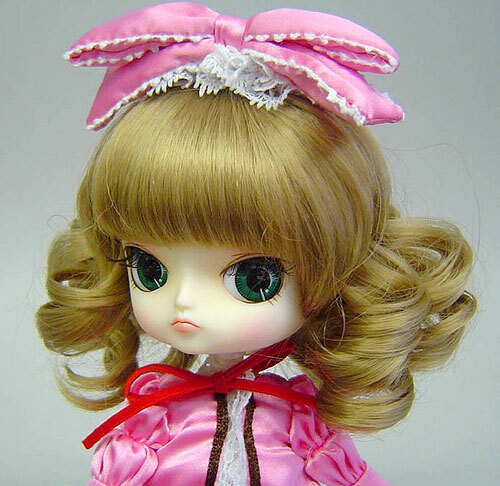 Starting in 2006, Jun Planning collaborated with Rozen Maiden to release a series of dolls based on various characters from the series Dal Hina Ichigo was released as a part of this series in December of 2006. 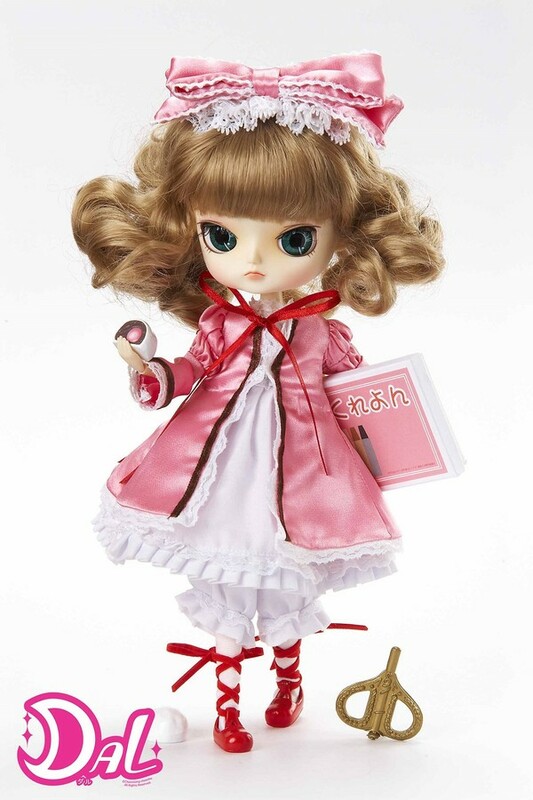 Groove (the company that replaced Jun Planning) again collaborated with Rozen Maiden to release a new series of dolls based on Rozen Maiden and a new doll based on Hina Ichigo was released though this time, she was portrayed as a Pullip rather than a Dal. Dal Hina Ichigo was the first collaboration Dal to be released. Feel Like So: Hina like Tomoe and Nori! 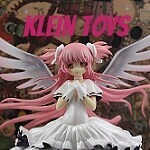 Hina like Shinku, and all, and and…Everyone!! Wig: Dirty Blond curled wig. 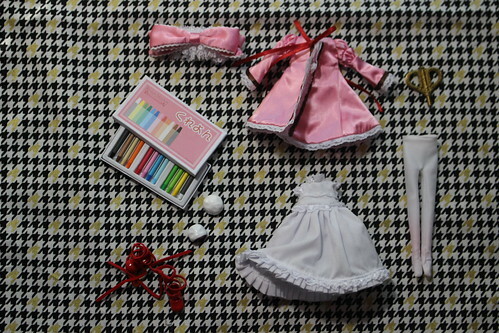 Stock: Dal Hina Ichigo’s stock outfit consists of a key, tights, headbow, dress, overdress, shoes, two strawberry daifuku (one partially eaten) and crayons. 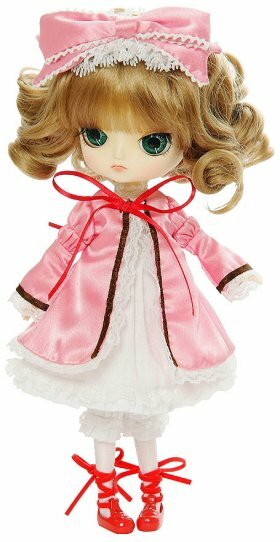 Special Notes: In 2014, a new series of dolls based on the Rozen Maiden series was released including a new version of Hina Ichigo. 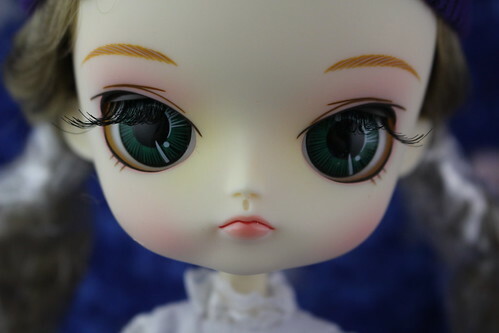 Instead of again being portrayed as a Dal, this time Hina Ichigo was portrayed as a Pullip this time.